Working (or planning to work) on any "international" topic in adult/continung education/learning? Then ISCAE's volumes published as outcome of our conferences can be of great help by quoting renown experts and their discussions about aims, contents, methods, obstacles, and prospects of international comparison! Especially we want to suggest to buy this book for many libraries: In our experience an international topic comes up once in a while to new and old researchers. Then it is vital that the work does not start from zero, but one can refer to basic literature and research. So please consider to order a copy not only for you, but for your institutions library - you will help coming researchers to built on experiences we collected through ISCAE. Adult and Continuing Education has become a field of action, reflection, and research all over the world. To learn from successful models developed worldwide, this book documents and discusses the progress of comparative adult education – aims, contents, methods, obstacles, and prospects. Part A examines basic questions of comparative adult education. The contributions offer a deeper understanding and include warnings of obstacles and pitfalls. They help to design research by building up on the theoretical framework developed in prior research. Part B presents experiences and "lessons learned", suggesting advice and warnings for successful comparative work. The studies in Part C illustrate research methods as well as topics important to researchers in various regions of the world. Descriptions of international institutions in Part D may assist to use their assistance and services. The Contribution of ISCAE to an Emerging Field of Study. This handbook with international experts collects basic discussions on method, technique, concepts, contents, pitfalls, and experiences in international comparison. It presents papers of two international conferences of ISCAE: Bamberg, 1995 and Radovljica, 1998. Collecting the knowledge of this field, usually scattered in the literature of many countries, makes it a helpful resource and tool for all researchers working in the field of international comparative adult education. Further research in comparative adult education will have to refer to the knowledge here presented. Order Information: The book originally could be ordered from the Slovenian Institute for Adult Education, Ljubljana, Slovenija. It is sold out now. But we made it available for download: Click here to download the pdf-file (980kb). This bibliography was compiled by our friend and member Jindra Kulich at the request of ISCAE at its meeting in Bamberg, Germany 1995. It covers publication from all over the world, and saves the researcher hours and hours of work for doing own bibliographic work! A .pdf of this publication will be presented here soon. Charters, Alexander N./Siddiqui, Dilnawaz A. 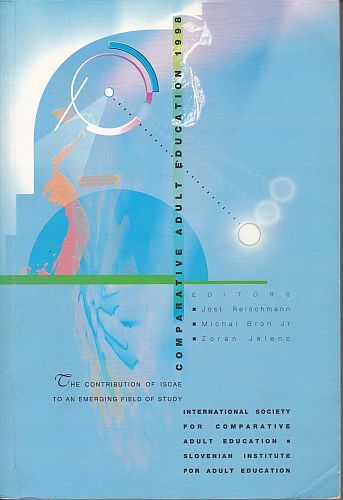 (1989): Comparative Adult Education: State of the Art with Annotated Researche Guide. Centre for Continuing Education, The University of British Columbia, Vancouver, BA. Charters, Alexander/Cassara, Beverly (1989): Papers on Adult Education from four sessions at World Congress of Comparative Adult Education Organizations (CAEO). Syracuse, N.Y. Charters, Alexander N. (1981): Comparing Adult Education Worldwide. Jossey Bass, San Francisco, CA. Indabawa, S.A., Oduaran, A., and Afrik, A., and Walters, S. (Eds.) (2000): The state of adult and continuing education in Africa. Windhoek: Department of Adult and Non-Formal Education, University of Namibia. ISBN NO: 99916-53-33-3. The book can be ordered from Dr Stanley Mpofu, University of Namibia. E-mail: S.Mpofu smpofu@mail.unam.na. Pongrac, Silvije (ed) (1999): Adult Education in Croatian Society. Faculty of Philosophy in Rijeka, Croatia. Egetenmeier, Regina/Nuissl, Ekkehard (eds.) (2010): Teachers and Trainers in Adult and Lifelong Learning. Asian and European Perspectives (Peter Lang Verlag) Frankfurt, 223 pages, 32,80 Euro, ISBN 978-3-631-61298-9. 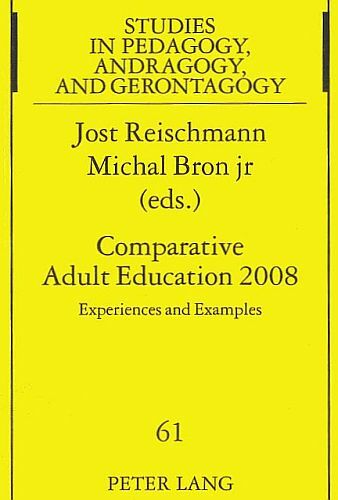 Jost Reischmann: Adult Education in Germany. Katarina Popovic IIZ-DVV: Adult Education in Southeast Europe: Albania, Bosnia&Herzegowina, Bulgaria, Croatia, Macedonia, Romania, Slovenia, Yugoslavia.